Of all the directors who worked on Battlestar, it’s Michael Nankin whom I would like to meet the most. A brilliant writer, director and producer, Nankin really “got” the show and its unique style. Instead of just turning screenplays into actual scenes, to me, he often seemed particularly willing and capable of seemlessly integrating all the episode’s various creative facets, so as to make them an artistic whole — resulting in amazingly well-composed episodes such as “Scar”, “The Ties That Bind” or “Someone to Watch Over Me“. Well, I was really lucky to work with some great directors that I really grew to love. Michael Nankin being one of my favorites. And he actually was my director for “Scar” and for “The Passage”. He just really let me do my own thing. They always played some music when they were setting up, and he was like ‘slow dance with me’ in between sets, between the shots. It is so surreal, everybody is doing their job, setting everything up, the green screen, and Michael Nankin is slow dancing with me. I love this story so much! And I want to know more about their collaboration. By the way, two years later, Nankin wound up helming “There is Another Sky“, the last of three Caprica episodes starring Luciana as Priyah Magnus (and I wish to believe it was him who added the beat where Priyah was picking up the glass during the board meeting). Most notably, Nankin has been very busy beyond the Battlestar franchise, too – directing episodes of C.S.I., FlashForward, Heroes and Terminator: The Sarah Connor Chronicles. 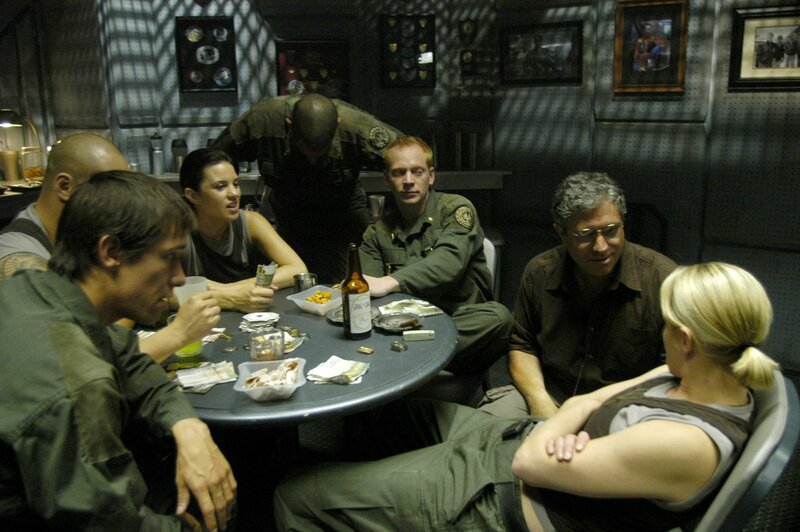 This entry was posted in Other and tagged Battlestar Galactica, Michael Nankin, Scar, The Passage, Video. Bookmark the permalink.